When we think about the holidays, we instantly think about making family memories. As your child hits adolescence, gone are the days of visiting Santa at the mall, writing wish lists to send to the North Pole, and waking up at the crack of dawn to see what Santa has delivered. What about the annual trip to see the Nutcracker, making cookies with Grandma, and driving around to see the lights? 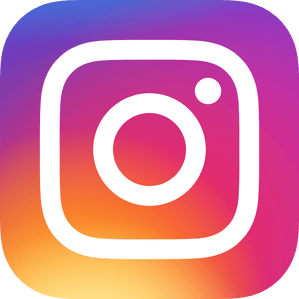 Are the days of enjoying these activities with your teen gone as well? Should you let your teen not participate in these activities if they don’t want to? Well, it might not be a bad idea. During adolescence, your teen finds their own autonomy quite important. This may be even more evident during the hustle and bustle of the holidays. During the holidays, giving your adolescent room is even more important. 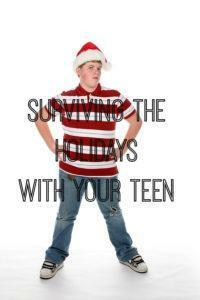 We know that this can be difficult for parents, but we have some suggestions to survive and enjoy the holidays with your teen. According to The Clay Center for Healthy Minds, this can be a difficult transition for parents as the holidays cause us to reminisce about past experiences with our children. This causes parents to realize how quickly time is passing with their children. This leads them to want to recapture what once was. Teens, on the other hand, are more forward focused and don’t have the same interest in reminiscing about the past. Parents need to realize that this is okay and that is just part of their teen’s development. Since the holidays are already stressful enough with shopping, parties, work, and home, we have some suggestions to help parents during this time. Remember that your teen is on vacation too. They want to enjoy their break from school. This could mean sleeping in, spending more time with friends, or just hanging out. Figure out what works for you and allow this. Decide which activities are really important for you to have your teen participate in. Pick your battles on this one. Think about the things that you like to do as a family and which are the most important to you and come to a compromise with your teen about which ones are okay for them to pass on. The last thing you want is to spend a fortune on those fantastic seats for the Nutcracker performance and have your teen sulk all the way through. Neither one of you are going are to leave remembering a happy, memorable experience. Consider Volunteerism. Decide a way that you and your teen can give back. Remind them that volunteering will not only make someone else feel good but also them. Additionally, you can remind them that it will look good on their college application. As Elsa would say, “let it go.” There are already plenty of emotions with the holidays. Keep in mind that teens go through a lot of emotions. Don’t let it impact your own. Embrace the happy moments as well as the not so happy ones. Remind yourself that this is all part of your teen’s development and it won’t be like this forever. Just “let it go” and enjoy the special moments that you do have together. The team at Doorways would like to wish you all happy holidays and we look forward to seeing you in the new year!